Warriors Dawn of the Clans book 6: Path of Stars. After moons of deliberation and strife, the forest cats have settled into five camps. But now the dangerous rogue Slash has kidnapped سٹار, ستارہ پھول and made demands for prey that the forest cats cannot afford to meet. Clear Sky is desperate to save his mate. 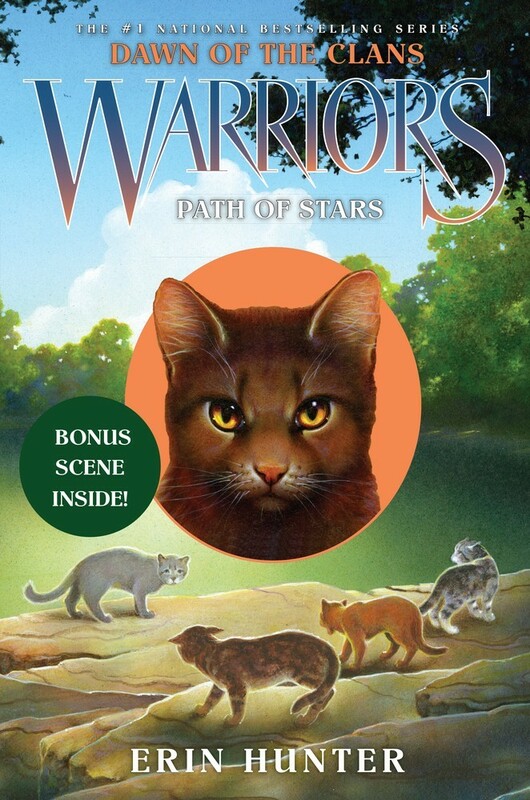 HD Wallpaper and background images in the Warriors (Novel Series) club tagged: photo. This Warriors (Novel Series) photo contains ڈاؤن لوڈ ہونے والے, مزاحیہ کتاب, منگا, کارٹون, ہالی ووڈ, and کامک بُک. There might also be اخبار, کاغذ, میگزین, رومال, بڑی, and لھیر. GOD I'VE BEEN WAITING FOREVER FOR IT TO COME OUT!!!!!! Its suposed to be SOOOOOO good and i totally believe it!